“Urban Jungle” is a book packed with green inspiration, plant styling ideas and handy plant information for anyone who wants to bring more greens into their homes and daily lives. This book will take you on an inspirational voyage through five green homes across Europe showcasing how beautiful, individual, creative and sometimes even arty green living can be. Moreover, this book offers a plethora of easy-to-copy plant styling ideas for your home presented by a fine selection of international Urban Jungle Bloggers. Additional plant profiles and simple plant care tips will further strengthen your desire to add a new green friend to your home immediately. Lean back and buckle up for a fantastic green journey! 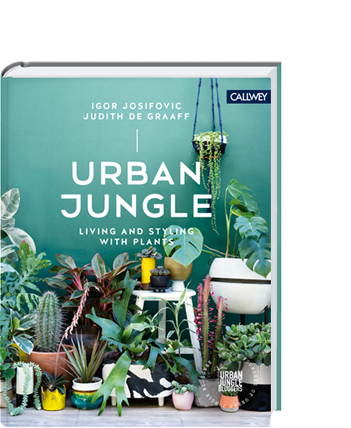 Written by Igor Josifovic and Judith de Graaff, founders of Urban Jungle Bloggers, with photography by Lina Skukauskė and illustrations by Saar Manche. Available in English and in German since September 2016 via Amazon and selected stockists, published by Callwey.